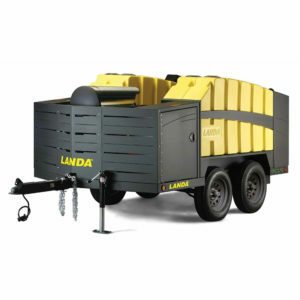 Landa Karcher Group has made customizing a trailer-mounted wash system for on-site cleaning an easy two-step process. 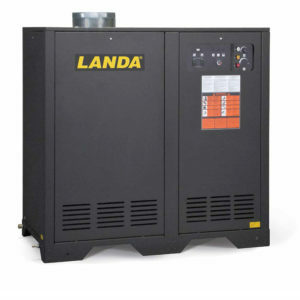 Step 1: Select from five series of portable, self-contained, industrial- grade hot-water pressure washers, creating a contract cleaner’s dream. 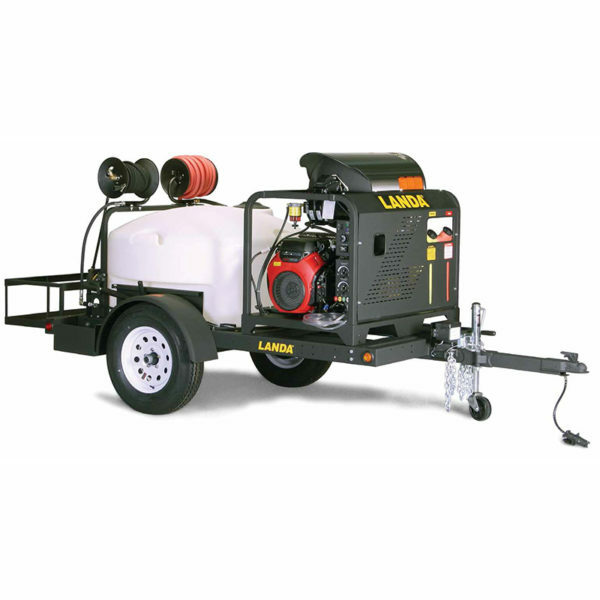 Step 2: Add any options and accessories, such as hose reels, rear utility rack, side saddle tool boxes, etc. to enhance the performance. 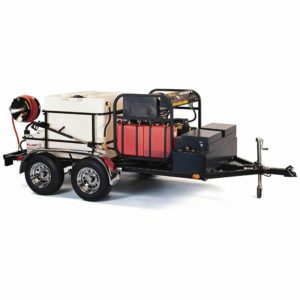 The TRV-3500 trailer is made of extra-rugged 2-by-4 inch 10-gauge formed channel. The wheel and axle assembly feature leaf spring suspension of up to 3,500 lbs. and 15-inch, white-rimmed wheels. 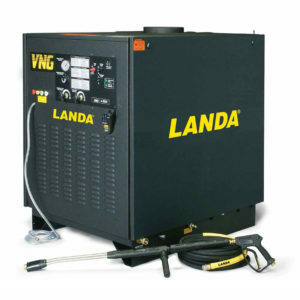 A powder-coated epoxy finish gives the entire package added weather protection.